Noel B. Salazar is Research Professor of Anthropology at the University of Leuven, Belgium. 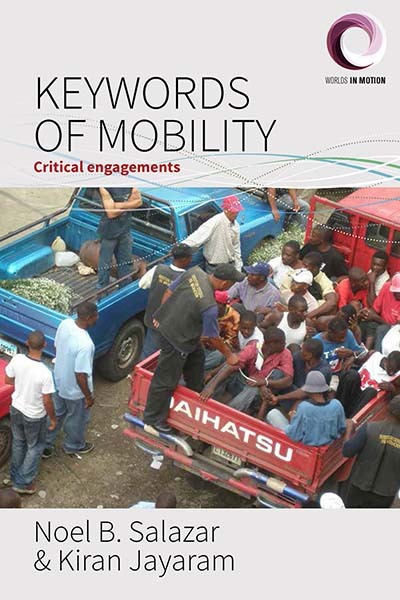 He is co-editor of Regimes of Mobility (2014) and Tourism Imaginaries (2014), and author of Envisioning Eden (2010) and numerous journal articles and book chapters on the anthropology of mobility and travel. He is vice-president of the International Union of Anthropological and Ethnological Sciences, member of the Young Academy of Belgium, and founder of the EASA Anthropology and Mobility Network. Kiran Jayaram is a Postdoctoral Fellow in Anthropology at the Faculté d'Ethnologie (Université d'Etat d'Haïti) and an Assistant Professor at York College (CUNY). He has published several articles and a book chapter on migration, education, and political economy, based upon fieldwork among Haitians in urban Dominican Republic.